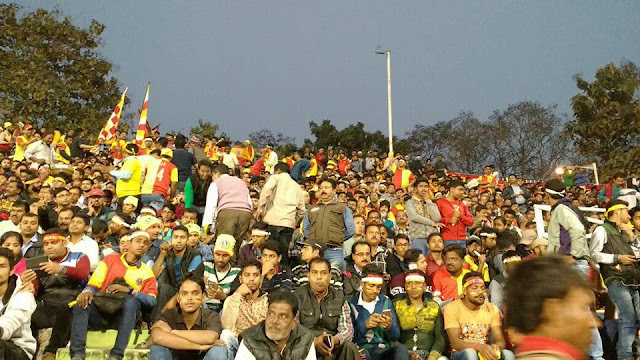 East Bengal and Mohun Bagan fired blanks while playing out a goalless draw in a keenly contested I-League encounter at the packed Kanchenjunga Stadium here on Sunday. Both sides had their share of chances but cautious approach at the beginning and towards the end prevented both from getting the better of the other. 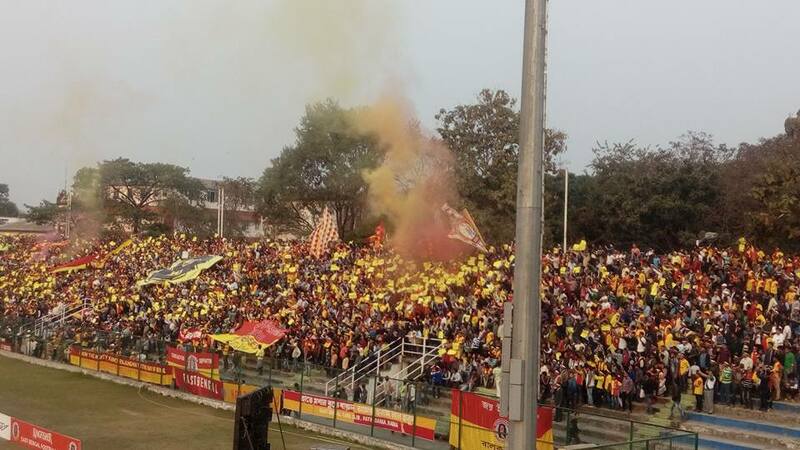 The result saw East Bengal consolidate their place at the top of the table with 20 points from eight matches. Mohun Bagan remained second with 17 points, having played a game less. A sedate start to the game — which was not totally unexpected keeping in mind the magnitude of the clash — saw both teams sizing each other up. Mohun Bagan star Sony Norde was marked by two defenders but the nippy Haitian winger, who is yet to score in a derby, crossed low for striker Darryl Duffy, who could not get to the ball. Pritam Kotal did manage a shot, but it lacked power and East Bengal goalkeeper T.P. Rehenesh made a comfortable save. At the other end, Willis Plaza had a chance from a tight angle off a pass from East Bengal striker Robin Singh but the Trinidad & Tobago player shot straight to Mohun Bagan goalkeeper Debjit Mazumdar. 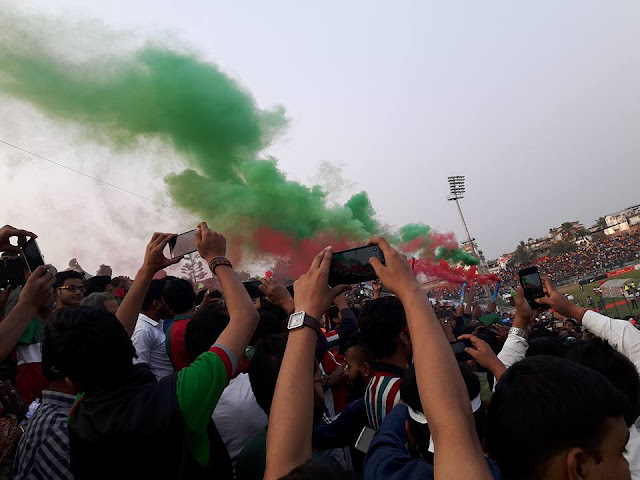 Three minutes after the half hour mark, Mohun Bagan had a great chance to draw first blood when a free kick by Yusa Katsumi was cleared for a corner and from the subsequent flag kick Norde almost drilled the ball in. It was end to end stuff in the last five minutes of the first period as Wedson Anselme and Katsumi creating good moves for East Bengal and Mohun Bagan respectively. In the 44th minute, Mohun Bagan's Shouvick Chakraborty showed excellent dribbling skills to get past a jungle of legs but his attempt was well saved by a diving Rehenesh who later complained that Duffy stamped on his hand during his follow through. Tempers flared as a furious East Bengal captain Lalrindika Ralte pushed the Scotsman as others joined in the melee. In the second half, East Bengal saw Plaza muff a gilt-edged chance when Robin Singh set him free. But even though Plaza managed to beat the sturdy Eduardo Pereira for pace, his volley was parried away by Mazumdar from close range. It was riveting stuff in the final 20 minutes as both teams upped the ante in search of a goal. 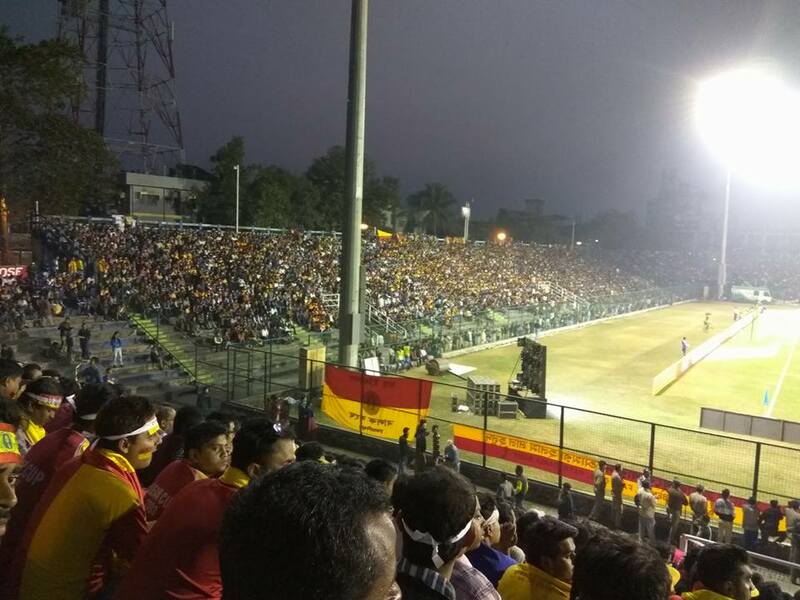 First, East Bengal's Wedson sprayed a ball to Narayan Das who whipped in an early cross from the left flank which substitute Thongkhosiem Haokip — who had replaced Robin in the 67th minute — failed to meet. At the other end, East Bengal defender Gurwinder Singh deflected a Katsumi attempt which Rehenesh palmed away in the end. Wedson made a darting run towards the end of the match but could not apply the finishing touches as Mazumdar narrowed the angle well. Substitute Balwant Singh — in place of Jeje — came close too, blazing over his header in the 88th minute.